OrthoRehab’s Tyler Ladenburg & Dakota Amy’s Winter Conditioning Eat & Educate Seminar! Home / Uncategorized / OrthoRehab’s Tyler Ladenburg & Dakota Amy’s Winter Conditioning Eat & Educate Seminar! 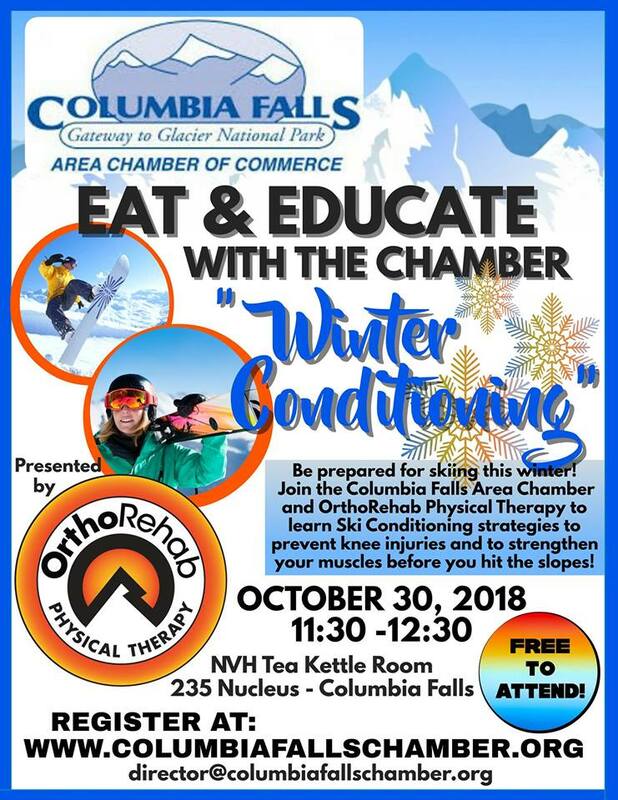 OrthoRehab’s Tyler Ladenburg, DPT & Dakota Amy, DPT will be on hand for the Chamber’s Eat & Educate seminar, psyching you up for ski season and sharing some excellent ski & snowboard stretching and strengthening skills! Bring your lunch and come learn some excellent tips from OrthoRehab’s Physical Therapy experts! Free to attend and open to the public and Chamber members. Presentation by OrthoRehab Physical Therapy Topic: Be prepared for skiing this winter. Join the Columbia Falls Area Chamber and OrthoRehab Physical Therapy to learn ski conditioning strategies to prevent knee injuries and to strengthen your muscles before you hit the slopes!